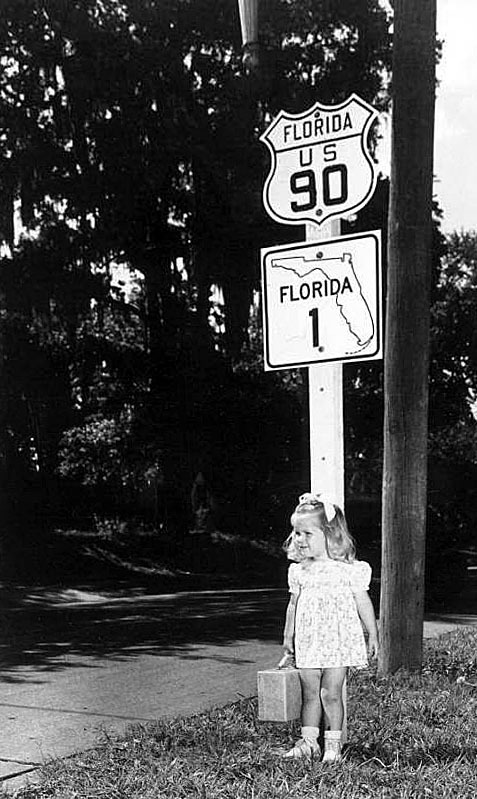 Carolyn Rae Sandgren, and a variety of Florida route markers, circa 1948 or 1949. The 24" white squares were used at intersections (as mandated by the 1948 MUTCD), and the 16" shields (cutout US and square state road) were reassurance markers. The state road numbers are from the pre-1945 numbering: the Great Renumbering of 1945 took several years to implement in the field, and new shields were made with the old numbers. 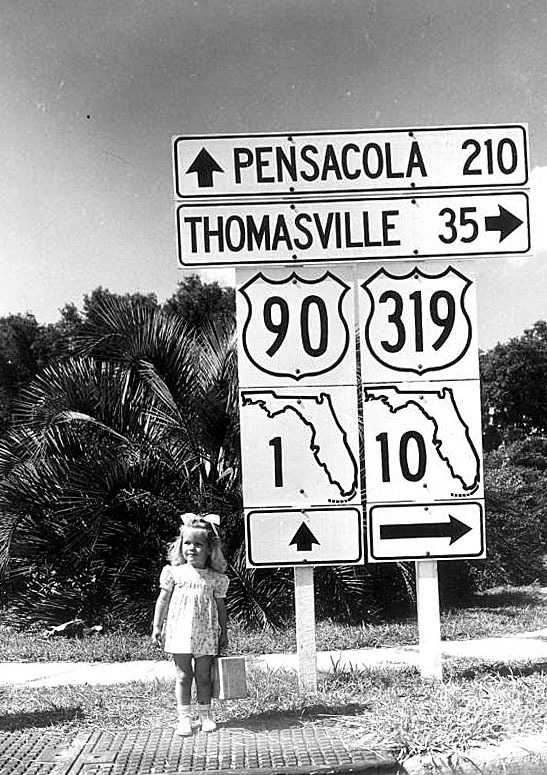 The cutout US-90 is a remnant with square fonts, and the other shields - and the two guide signs - use new round fonts, also mandated by the 1948 MUTCD.